Fr Vous pouvez poster ici des nouvelles de David Carradine. 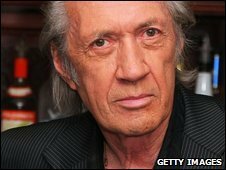 En You can post here news on David Carradine. 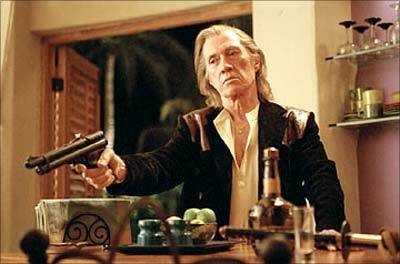 Carradine's Kung Fu Coming to the Big Screen! This is just one of those bits of news that really gets me pretty damn excited. Kill Bill's Bill, known as David Carradine, got his illustrious career off to a strong start back in 1972 by playing Kwai Chang Caine in the TV series “Kung Fu”. It went through three seasons following Carradine's monk character in the American Old West who fought only with his sword. In an interview at SuicideGirls, Carradine said that Warner Brothers is putting together a big screen version of the series with a focus on the character's younger years. I’m 70 years old so I couldn’t play that part. But I think they’re making a mistake because it’ll be like Wild Wild West. For the movie they recast it and unless you are a geek TV fan, no one remembers who originally played the parts. But Kung Fu is a little bit different. I can’t imagine how they can expect to get a huge audience with somebody else playing Kwai Chang Caine because I’m entirely too identified with it. I ought to know because I have to live with it. Although he sounds a bit worried, I am somewhat confident that Warner Brothers wouldn't screw it up too bad. 2001′s From Hell directors Allen and Albert Hughes have already been connected with the project, and will be directing the film. David Carradine : son agent ne veut pas croire à la thèse du suicide !